Anyone can practice Reiki, healing with the Universal Life Force Energy, most often transmitted through the hands. Integrating Reiki with shamanism is natural as the two healing forms are based on similar principles. In this highly experiential weekend you will practice simple yet powerful techniques that join Reiki together with intuitive, Earth-honoring approaches from diverse shamanic cultures. Recommended reading: Roberts and Levy, Shamanic Reiki; and Roberts, The Good Remembering; and Shapeshifting into Higher Consciousness: Heal and Transform Yourself and Our World with Ancient Shamanic and Modern Methods. Stacey Gibbons holds a Master Certification in Traditional Reiki and has studied extensively with Shamans of diverse backgrounds. She has taught Traditional and Shamanic Reiki since studying with Llyn Roberts in the 1990s. 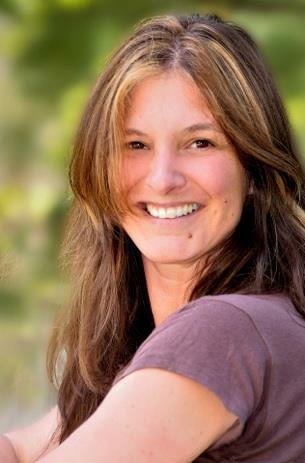 Stacey previously owned and directed Earth & Sky Yoga in Wolfeboro, NH, and currently teaches Yoga, Mindfulness, and Meditation at Mountain Valley Treatment Center in Plainfield, NH. Stacey, whose 15-year struggle with anxiety and depression inspired her to explore alternative healing therapies, views Reiki as the doorway to numerous other healing ways and studies widely. She is a Karuna Reiki Master and holds an Advanced Certification in Kolaimni Healing. Stacey also holds certification in Peruvian Shamanism from the Jaguar Path Institute. An experienced yogi, she is certified in Forrest Yoga, Power Vinyasa and Hatha Yoga, and has trained with Manju Jois in the Ashtanga system. Stacey has been working alongside Llyn Roberts for a decade and, together with Llyn, is a co-founder of Shamanic Reiki Worldwide.